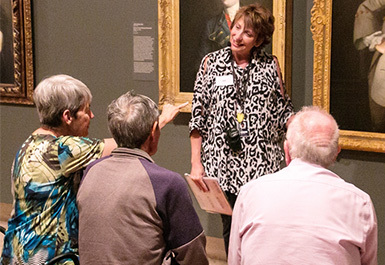 The Gallery has a range of free services and programs for visitors with disability. Volunteer guides conduct customised tours for visitors with disability and booked special interest groups. Our Group Bookings Office team can help you plan your visit and explain how we can tailor a tour specific to your needs or for those in your care. Tours for visitors with disability are scheduled between February and November and are free unless otherwise advertised. Continue reading to find out about upcoming tour details or visit the Events calendar. Free program available for visitors with dementia and their family member, carer or support worker. 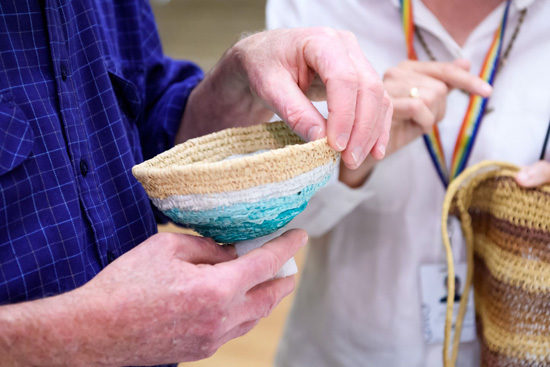 The tour provides participants with a dementia-friendly community experience which is based around reminiscence, validation and socialisation. Specialised art making is also available which aims to further enhance social interaction, well-being and mood, plus support independence. Listen to a tour here. Bookings in advance are required and are subject to availability and tour capacity. Tours are suitable for people living at home*, for community and day respite groups or residential aged care homes. At least 15 days' booking notice is required for groups. Contact the Group Bookings Office or telephone (07) 3840 7255 to arrange a booking. *Travel assistance may be available for people living at home within the Brisbane metropolitan area. These free tours for Deaf visitors are scheduled on the last Sunday of the month from January to November. Our volunteer guide is accompanied by a NAATI accredited Auslan interpreter. 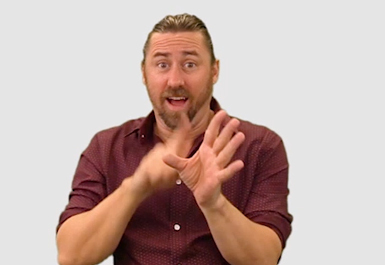 For information about upcoming Auslan interpreted programs, continue to the bottom of this page or send an email. 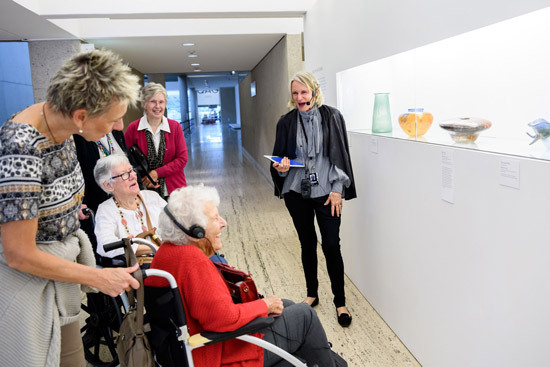 Visitors with a cochlear implant, hearing aid or hearing loss are invited to join a small group tour to explore featured exhibitions or selected artworks. Assistive listening devices (FM system) are available. Tours are scheduled once a month from February to November and are provided subject to availability. A minimum of 2 business days' booking notice is required. To book, contact the Group Bookings Office between 8.30am and 4.00pm Monday to Friday T: +61 (0)7 3840 7255. Audio-described tours offer a narrated description of the visual elements of selected artworks. Tours are available on weekdays from February to November for small groups and individuals. Advance booking notice of 15 days is required. To book, contact the Group Bookings Office between 8.30am and 4.00pm Monday to Friday T: +61 (0)7 3840 7255. These tours are suited to small groups and are tailored to the needs of the group members. Advance booking notice of 15 days is required. 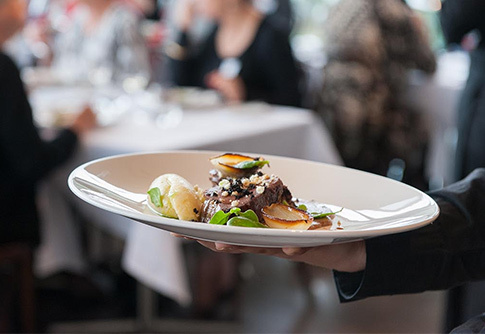 For more information or to make a booking, contact the Group Bookings Office between 8.30am and 4.00pm Monday to Friday T: +61 (0)7 3840 7255. Selected videos relating to current and past exhibitions and artworks in our Collection are available with Auslan interpretation and captions. Search for the 'Auslan' playlist on QAGOMA YouTube. Watch Katrina Garvey from the Deaf community as she shares some highlights of APT9. 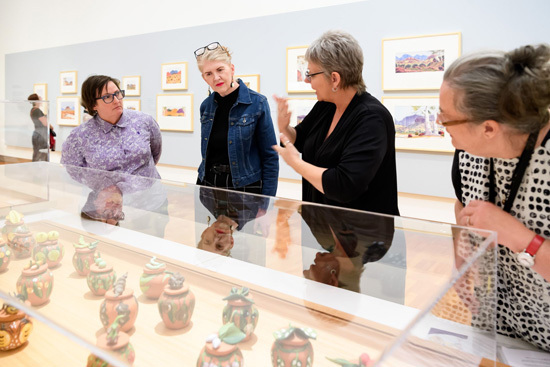 An Auslan interpreted tour in QAG. Tour for visitors with hearing loss. Tour for visitors with low vision. Parking bays for visitors with disability are located in the car parks situated within the Cultural Precinct. A temporary set down area for Australian Disability Parking Scheme permit holders is located on Stanley Place for drop off and pick up only. Mobility impaired and wheelchair access is available to both the Queensland Art Gallery (QAG) and Gallery of Modern Art (GOMA). At QAG wheelchair access is via the lift on the Upper Level of the QAG car park, via ramps at the front entrance from Melbourne Street, or via the Street Level entrance on Stanley Place, located between both buildings. GOMA wheelchair access is via the street level entrance on Stanley Place or via the lift from the Stanley Place car park beneath the State Library of Queensland. We welcome guide dogs and registered assistance dogs at QAGOMA. A hearing loop system is installed in the Australian Cinémathèque at GOMA. Head phones or neck loops are available for visitors with cochlear implants or hearing aids. Admission to QAGOMA and its exhibitions, screenings, programs and events is free unless otherwise stated. Where applicable, a carer or support worker accompanying a visitor with disability is admitted free on presentation of a Companion Card. A scooter is available free of charge for use during a QAGOMA visit. At least 24 hours advance notice is required. To secure a booking, contact the information desk between 10.00am and 5.00pm T: +61 (0)7 3840 7303. Conditions apply, subject to availability.